Simon Sinek is known for being a public speaker with finding huge success on some popular TED videos, and he talks a lot about the leadership side of self help and what he thinks companies are doing right, and what they are doing wrong. After being introduced to some of his amazing talks, I decided that I would pick up one of his books to support him from the help that he has already given me. Simon writes a lot about how companies are failing to engage their employees. He writes about how most people feel unfulfilled at their job, and how that leads to a company’s overall failure in the marketplace. Simon is loaded with many examples of how other organizations, mainly the military, will instill a sense of camaraderie and the lengths that will go to ensuring success. When we support each other we can only be stronger. This leads Simon into his main theory of the “Circle of Safety”. This can be summed up pretty simply as we are stronger when we are working together, trusting each other, not attempting to hold back or danger fellow coworkers, and focusing our efforts on the real problems that lay outside of the organization. It is far too common for this to not be the case in most business. It is a dog eat dog world where everyone is trying to claw their way up the ladder, and unfortunately, this leads to some unscrupulous behavior in the quest to be the best. Everyone can name examples of times they were worried they were going to get fired over a mistake, times a coworker tried to steal credit for something you did, and times a coworker gossiped about you to further their career. These things happen when individuals are focused on being individuals, but Simon suggests that through the use of great leadership, this does not need to be the case. A great leader should instead instill a sense of trust and belonging within their people. They should instead of writing off mistakes, take that opportunity to further train or ask themselves why the mistake was made in the first place. I’ve seen these things first hand in the company that I currently work for. Lies and secrets lead to employees feeling neglected and undervalued. There are many times where I have seen failures, and leaders will always pass the buck, always blame someone else for their own shortcomings. Does this make an organization succeed? No. Does this enable future failures? Yes. Is this the mark of a good leader? Absolutely not. 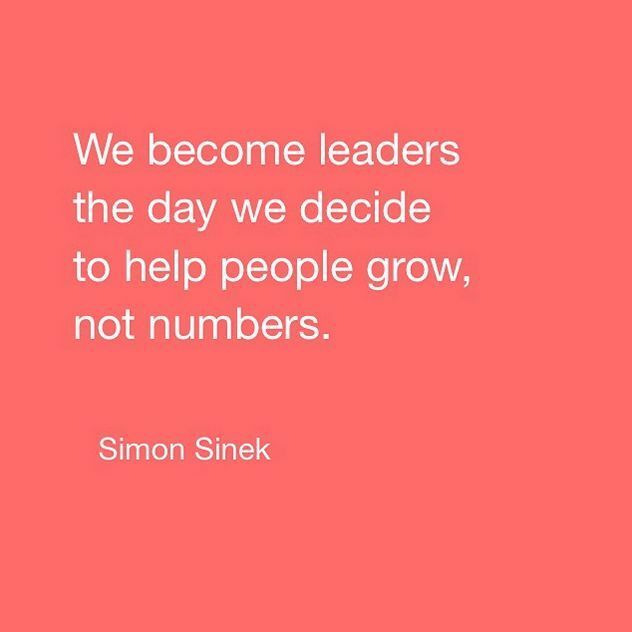 It is essential for a leader to help grow their team. You must make yourself available and easy to talk to. You must look in the mirror when the failures come instead of hiding away and blaming everyone else like a coward. Courage is essential to make sure that you are doing the right thing. Sinek breaks these down into two categories: The selfish chemicals, and the selfless chemicals. That is because endorphins and dopamine, the selfish chemicals, are the chemicals that are released when we find personal success. On the other hand, Serotonin and Oxytocin are released when we feel friendship, trust, love, and teamwork – which is why those are the selfless chemicals. 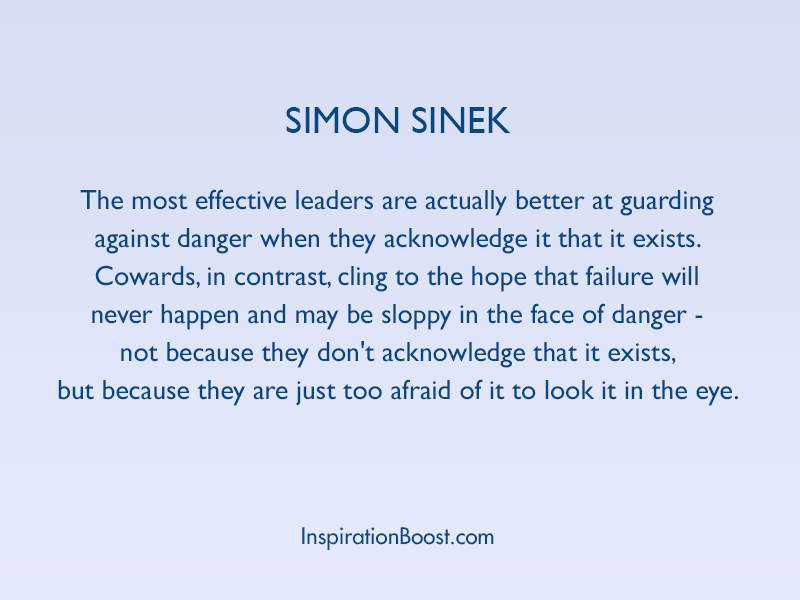 Sinek goes into how it is important for a leader to encourage the creation of those selfless chemicals. It’s a no-brainer to see how having serotonin and oxytocin on your side could lead to building a stronger team. I’m sure most of us have heard about this experiment before, if you don’t know what it is, or if you forgot what it was about, it was an experiment where they had volunteers shock other volunteers based on the directions of other volunteers who were told they they had to tell the people to keep going. That is an oversimplification of what happened, but essentially the results came out to be terrifying. It is that as long as people were given orders to follow, they would follow them no matter what. Many of the people doing the shocking wanted to stop, but continued to do so, continued to pain other innocent people, just because they were told to. This blog post is not about this experiment (I could go on all day about this…), but how it relates to business and leadership. In the Milgram Experiment, people caused the most harm when they were removed and separated from the people they were causing harm to. Leaders of companies that are out of touch with the common person will then cause harm because it is their orders to: “Make a profit”, “Cut labor hours”, and “Focus on short term gains”. Essentially, it is common practice now for leaders to be out of touch with their people, and cause harm to their employees lives by being selfish. No leader worth their salt wouldn’t stand up to fight the injustice, but unfortunately, good leaders are sometimes destroyed by following poor leaders. I’m sure we could debate all day on what it takes to run an organization, and a successful organization at that, but maybe there is room for improvement on the company culture building side. Apple avoided $78.5 billion dollars in taxes by exploiting loopholes and hiding their money offshore. That is a fact. Was it smart? Hell yeah. At some point though we have to point a finger to organizations and ask if they are doing the right thing. Maybe organization’s don’t owe anybody or anyone anything because they are just a business. Simon Sinek has a romanticized view of companies actually taking a moral stand for once, like Captain America standing up for all of humanity. Why do I say romanticized? Because it’s not really a reality for most of the corporations out there right now. We have all felt that sometimes the “care” a company displays is nothing more than just the next PR stunt. What they do is just the bare minimum to make sure they are operating within the bounds of the law. Why don’t the leaders rise up and lead with greater purpose? These are all based from low integrity, selfish reasons, and again, from a place of cowardice. When I first started my leadership career, I could see how keeping the information to yourself would give you an edge. If you were the only one who could solve the problems you have successfully made yourself invaluable. I now have learned over the years that the true value is in creating that same value within your leadership team. Teach them the tools to succeed. Teach them to be better than you were. Let your team learn how to lead while you support them. The most common display of a lack of integrity in the business world is when a leader of an organization says what others want to hear and not the truth. Being in a leadership position, I like to reflect on and learn when I read books like this. 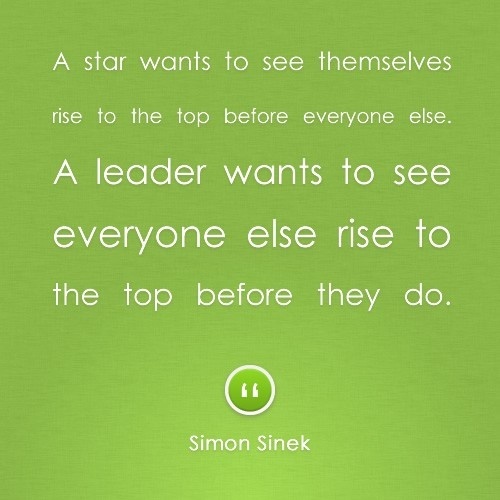 Simon Sinek has helped me look internally at some of the things that I can work on, and has helped me see some of the flaws in the organization that I currently work in. Having been helped to see the flaws is the first step in being able to fix them. I’ve already begun to use some of the integrity sections that Sinek wrote them about in my weekly management meetings. I will not be able to completely use all of Sinek’s ideas, my company just leans on the metrics too much. What I can do is try to create a strong circle of safety though. “Apple avoided $78.5 billion dollars in taxes by exploiting loopholes and hiding their money offshore.” This is SO wrong and shouldn’t be allowed. I appreciate your thorough review of this book! Wow, I’m not usually for non-fiction, but this sounds really intriguing. Love your review man. I like how long it is! Nicely written too. I tried the leadership thing…I absolutely hated it. I guess I’m not a born leader! Great review of great content! Glad to see that as a leader you take some of this advice to heart. Having been in the working world for 40+ years, I have worked for all types of leaders. The most successful, hands down, are those who follow The Golden Rule. Karma, I guess? Also, once you realize the people you surround yourself with, if you trust them to do their jobs and then let them, will only make you more successful. Sounds like you are on the right path! Love your post enjoyed reading it. Thanks for the review of “Leaders Eat Last”. It was very interesting and detailed review and has led me to want to read the book.